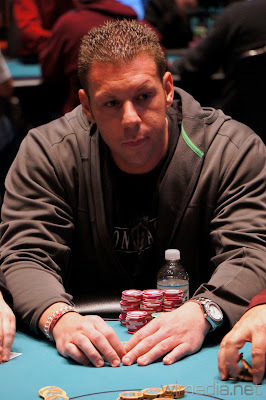 Eric Rando leads the Flight A field into Day 2. Play has come to an end in Flight A of the WSOP Circuit Main Event. 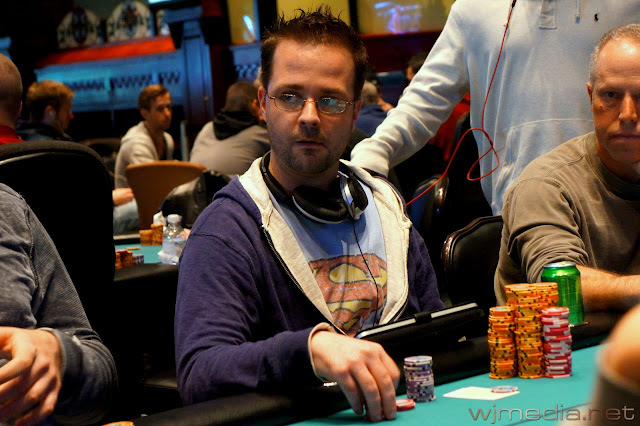 Eric Rando has the chip lead coming out of Flight A with 143,100. 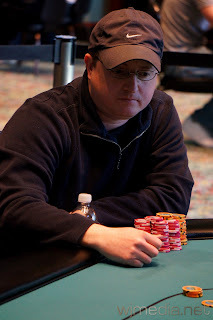 Of the 350 players who started Flight A, 123 will advance to Day 2. The players will return at noon tomorrow and combine with the Flight B field for the start of Day 2. 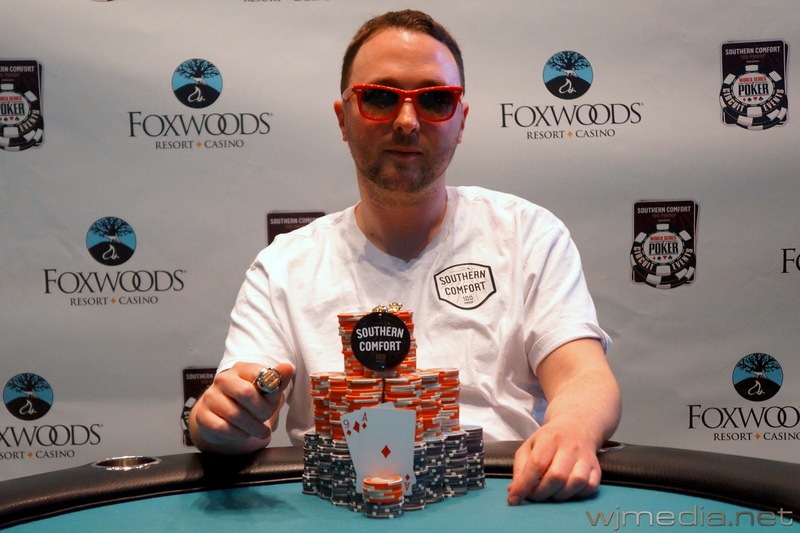 The second flight of the Foxwoods WSOP Circuit Main Event has just got underway. 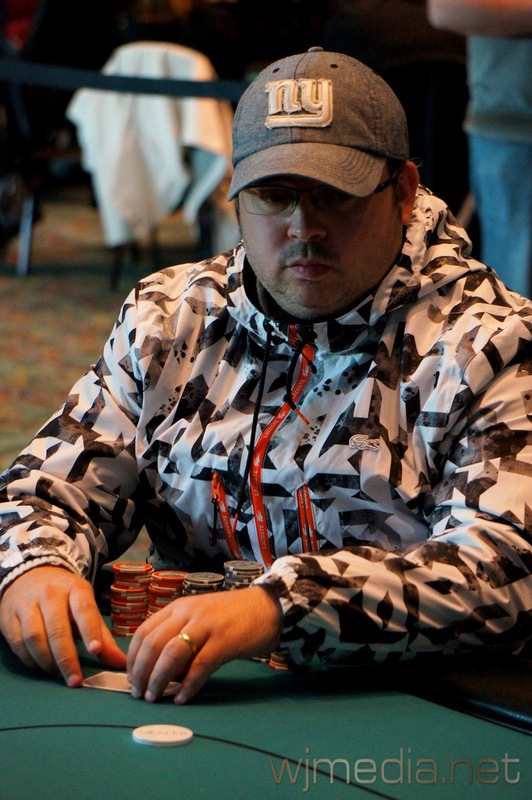 Players again start with 20,000 in chips with the levels starting out at 40 minutes in length. 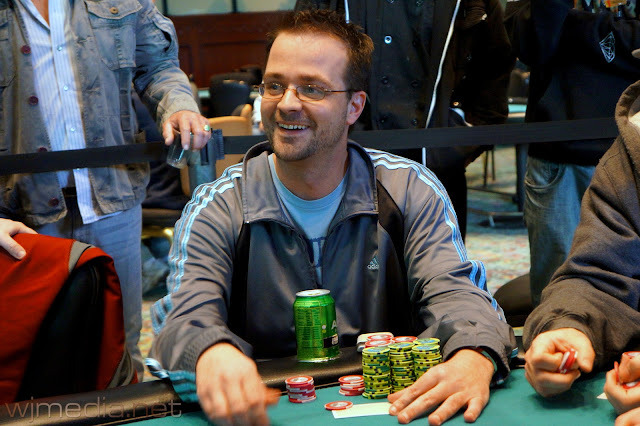 Registration remains open throughout play as well as re-entry up until the start of Day 2. Flight B of the $1,675 WSOP Circuit Main Event kicks off at 5pm today. Once Flight A ends for the day, we will bring you final numbers on entrants. There are currently approximately 234 players remaining. 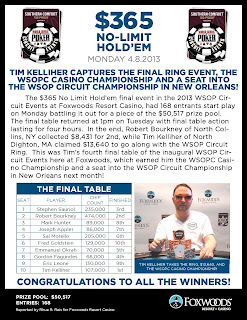 Be sure to check the official WSOP Circuit Blog for live updates at blog.WSOP.com. Five-time WSOP Circuit Ring winner Kurt Jewell has had quite the day already. 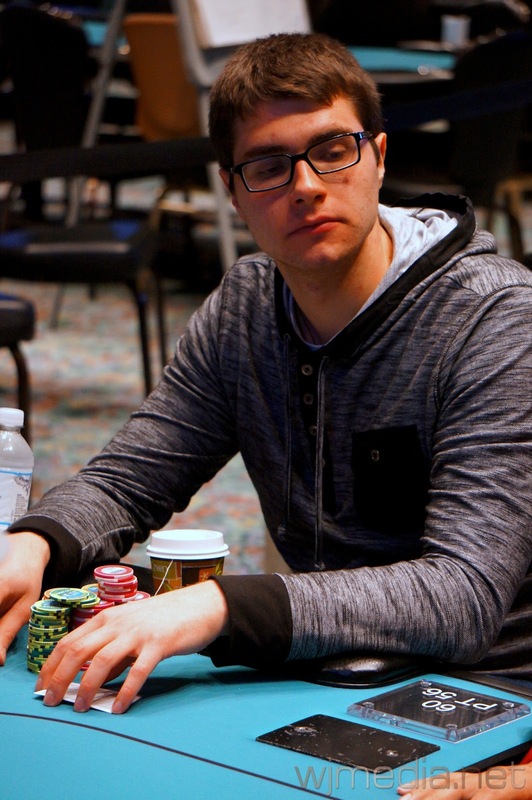 After only a few hands of play, Jewell doubled his stack but has now found himself eliminated from Flight A of the Foxwoods WSOP Circuit Main Event. Don't count him out though. 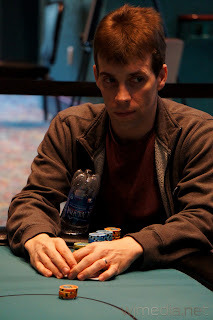 Jewell will be back for Flight B of the Main Event at 5pm. 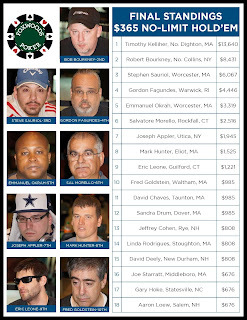 Kathy Liebert, Greg Raymer, James Campbell, Andy Frankenberger, Allen Kessler, Chris Tryba, Mike Frazin, Jamie Kerstetter, Aaron Massey, Kurt Jewell, Rob Brown, Kevin Saul, Dave Stefanski, Ronnie Pease, Mark Epstein, Bobby Corcione, Ralph Massey, Paul Snead, Victor Ramdin, John Dibella, Zachary Donovan, Bobby Ferdinand and Ari Engel. 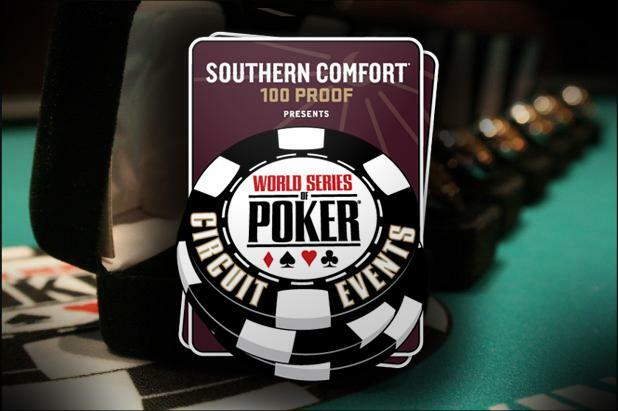 The WSOP Circuit Main Event is Underway and Streaming Live! 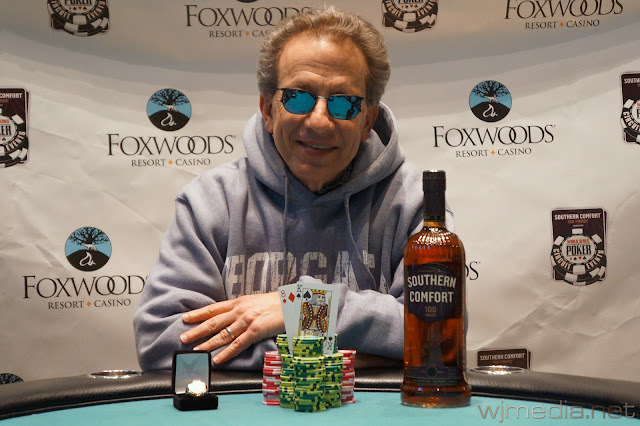 Flight A of the $1,675 Foxwoods WSOP Circuit Main Event is underway. 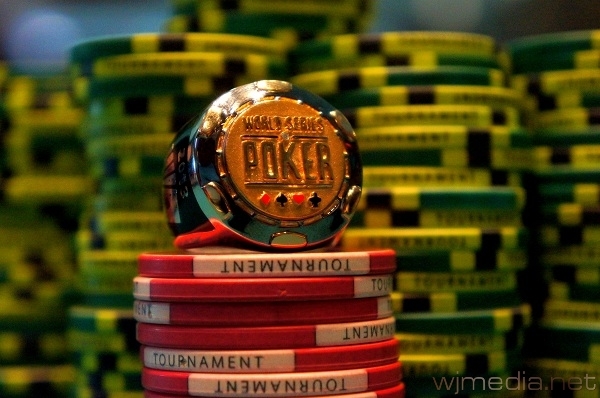 Players start with 20,000 in chips and the levels begin at 40 minutes. Flight B will be getting underway at 5pm today. 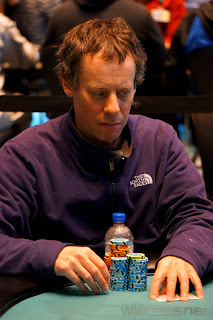 You can enter any or both flights or you can register up until the start of play on Day 2. 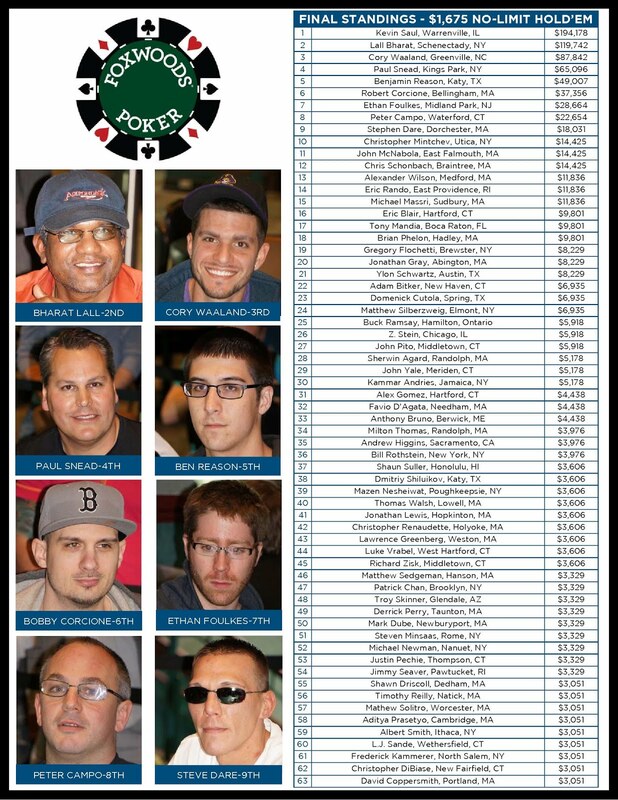 There are currently over 200 players already in the Flight A field. 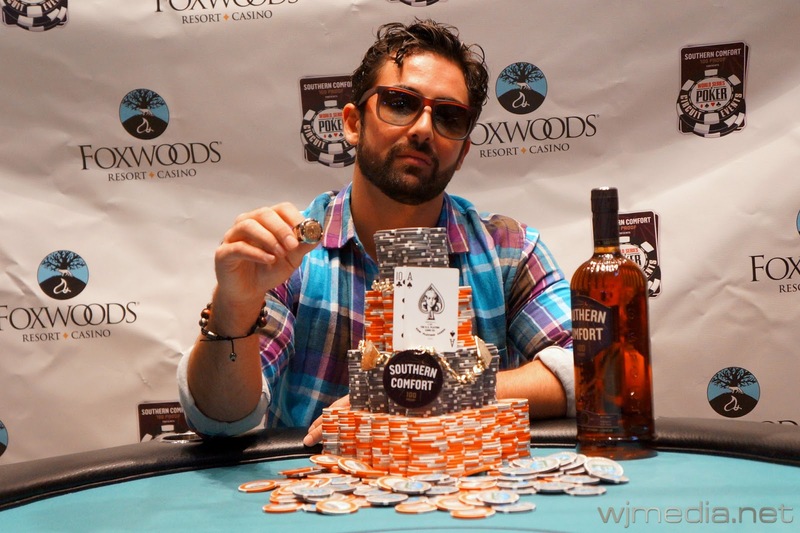 Julian Schulman, winner of the $365 No-Limit Hold 'em Turbo. Congratulations to Julian Schulman, winner of the $365 No-Limit Hold 'em Turbo event. 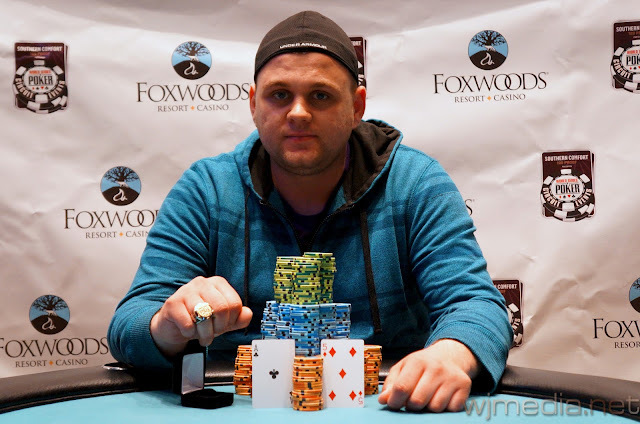 Schulman takes home $17,755 and his first WSOP Circuit Ring! 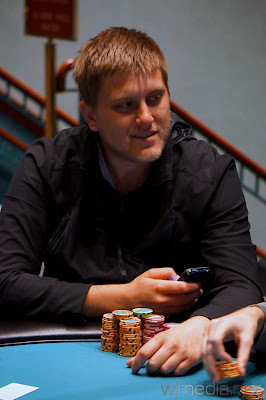 Arkadiy Tsinis, winner of the $580 No-Limit Hold 'em event. Congratulations to Arkadiy Tsinis, winner of the $580 No-Limit Hold 'em event at the Foxwoods WSOP Circuit Series. 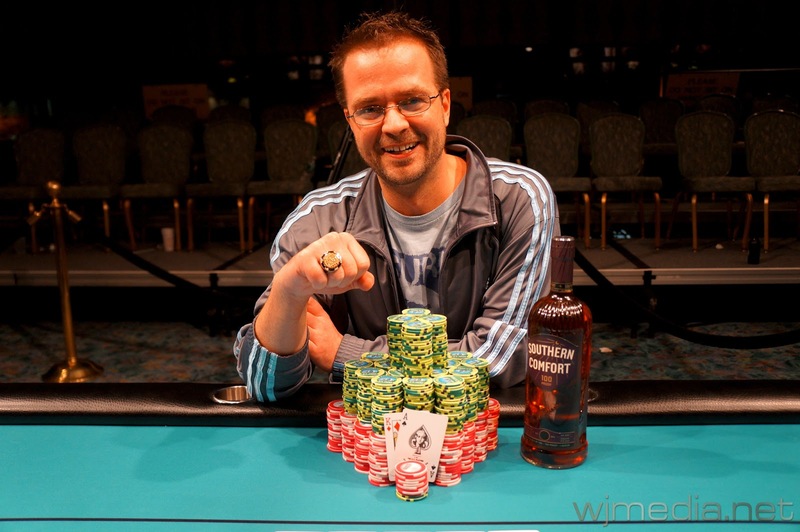 Tsinis, who has a WSOP bracelet for the winning the $1,500 No-Limit in 2011, takes home $26,734 and his first Circuit Ring for the victory. 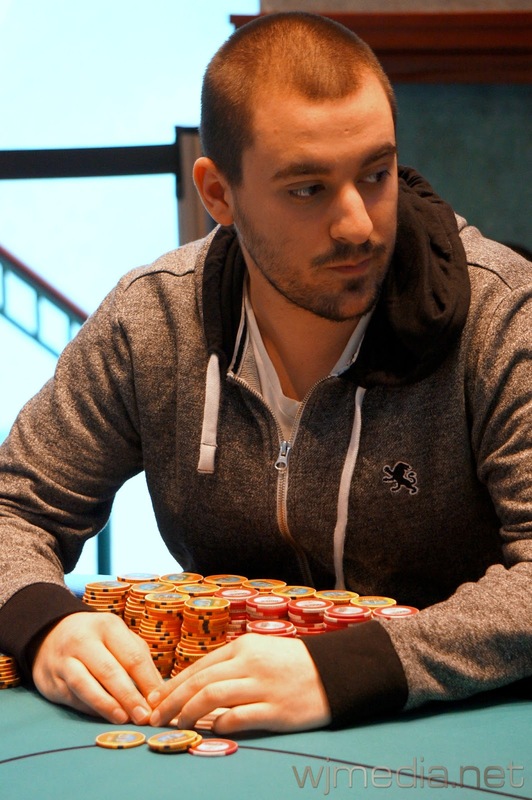 Fabio D'Agata raises to 45,000 before the flop and chip leader Arkadiy Tsinis moves all-in. D'Agata thinks for a few moments before calling all-in. The board runs out [7d][4h][3d][2h][9d] and Tsinis improves to a set to win the pot. 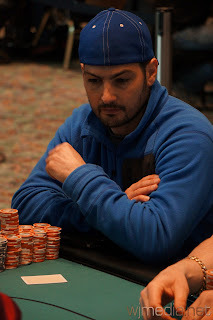 Fabio D'Agata is eliminated from the $580 No-Limit Hold 'em event in 2nd place for $16,521. Steve Happas raises to 35,000 from the button and Arkadiy Tsinis three-bets to 90,000. 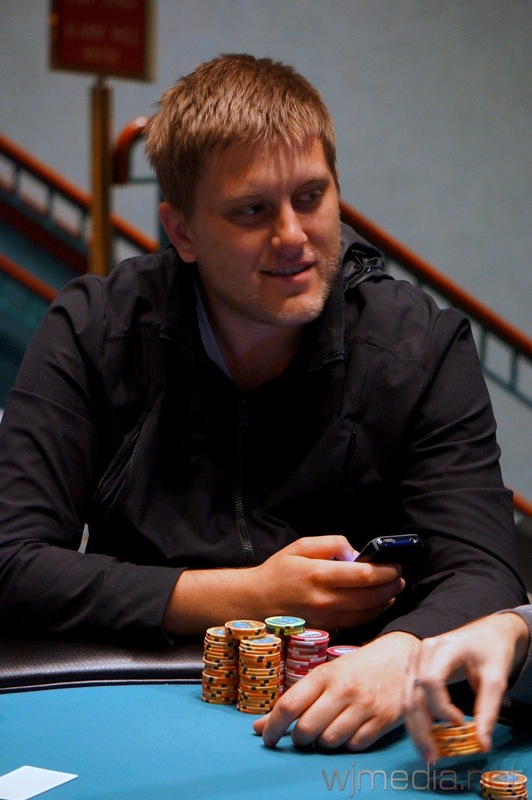 Happas calls and the flop comes [5d][4c][3h]. The turn is the [Ah] and the river comes the [Ad]. Tsinis takes the pot with two pair. Steve Happas is eliminated in 3rd place for $12,030. The players in the $365 No-Limit Hold 'em are now on their one-hour dinner break. 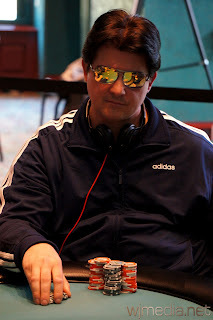 There are 80 players remaining and the the blinds will be 600-1,200 with a 200 ante when play resumes. 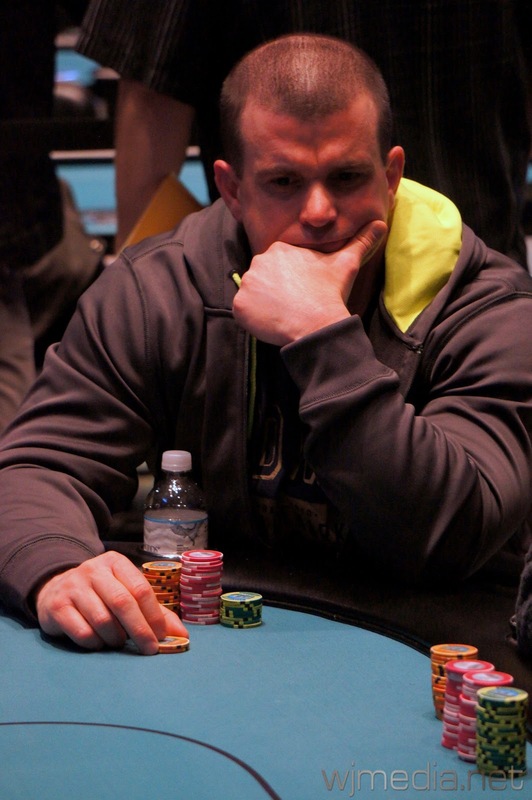 William Pappas gets all-in before the flop against Arkadiy Tsinis. The board runs out [Jh][3s][2c][Tc][Th] and Tsinis takes the pot. Williams Pappas is eliminated in 4th place, taking home $8,886. 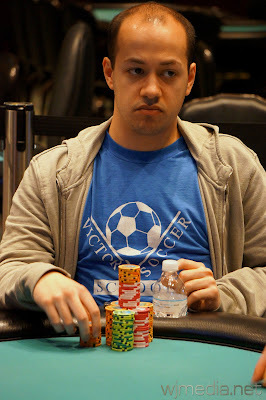 After a raise to 28,000 from William Pappas, Fabio D'Agata three-bets to 100,000 and Jamie Kerstetter moves all-in. 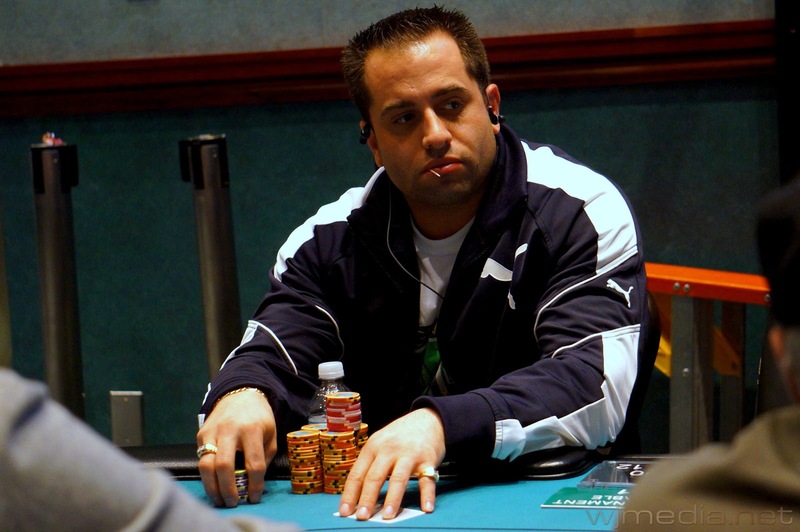 Pappas mucks but D'Agata calls. 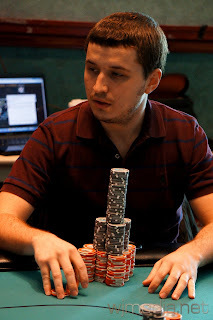 The board runs out [Ah][Tc][4d][7d][Qs] and D'Agata wins the pot. Jamie Kerstetter is eliminated in 6th place, taking home $5,101. 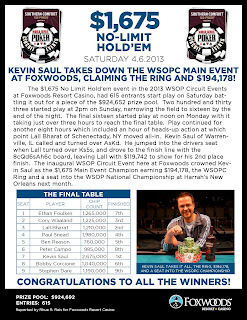 We had a total of 306 players in the $365 No-Limit Hold ‘em. We have reached the final table of the $580 No-Limit Hold 'em event. The seventh Ring event at the Foxwoods WSOP Circuit, the $365 No-Limit Hold 'em, is now underway. 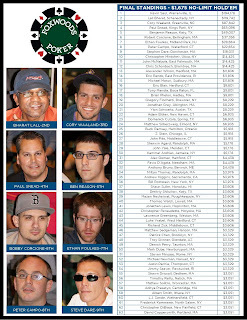 There are already over 180 players in the field. 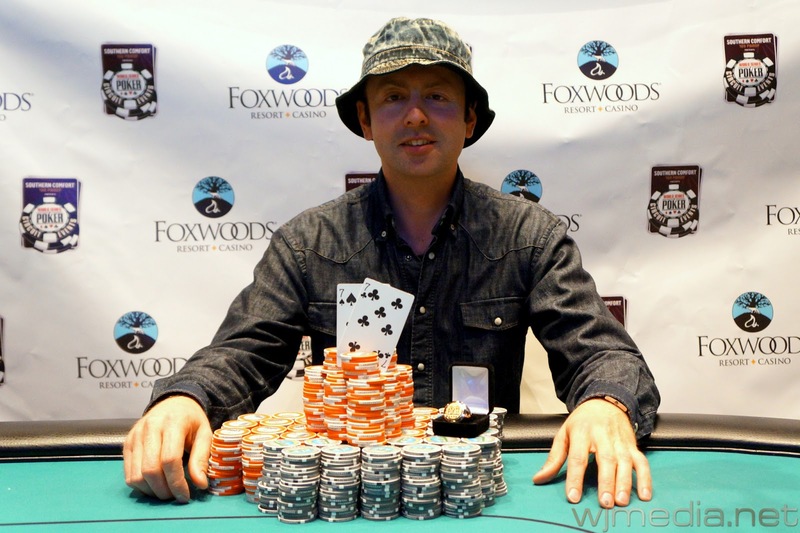 Glen Minxolli, winner of the $365 No-Limit Hold 'em event. Congratulations to Glen Minxolli, winner of the $365 No-Limit Hold 'em event at the Foxwoods WSOP Circuit. 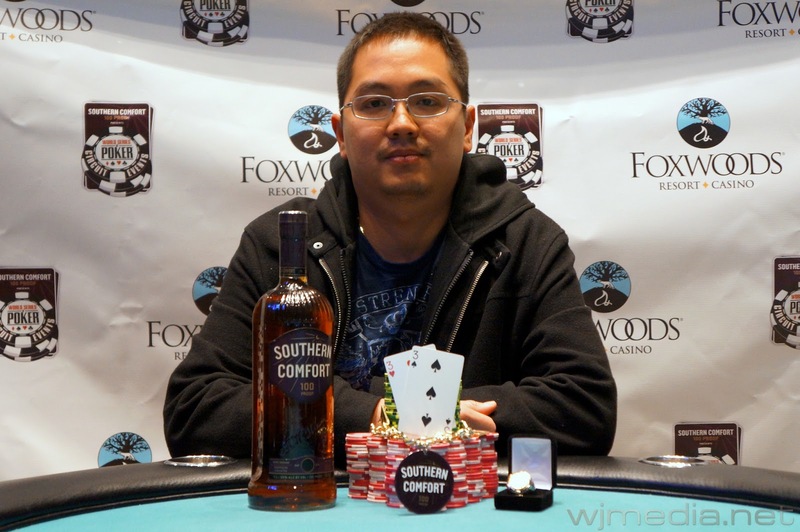 Glen takes home $24,829 and the WSOP Circuit Ring for his victory. 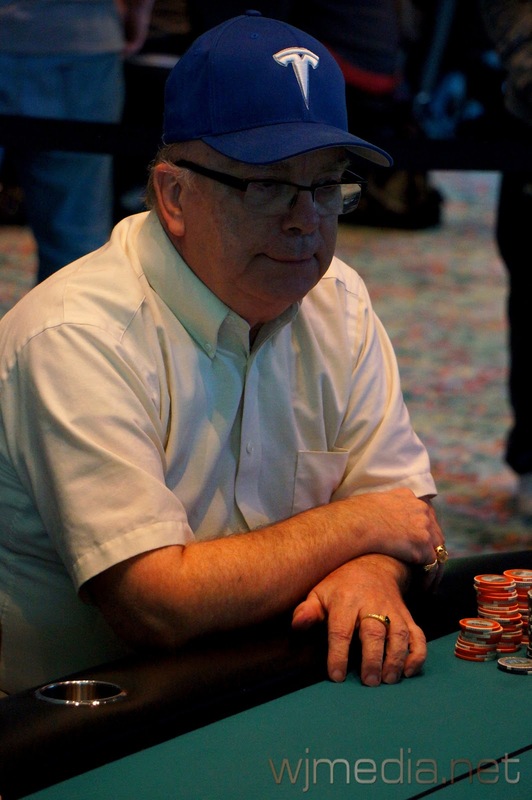 Glen Minxolli raises to 62,000 from the button and Parveen Kapoor three-bets to 153,000. 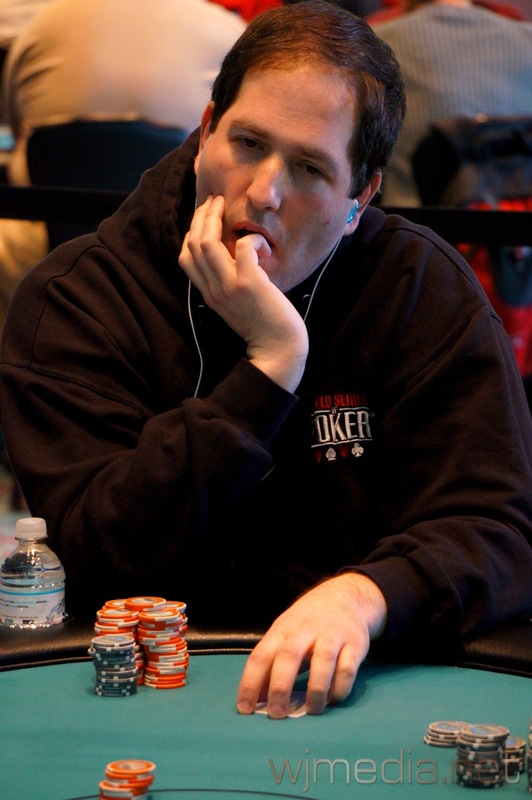 Minxolli calls and the flop comes [8h][7c][6s]. Kapoor checks and Minxolli fires 250,000. Kapoor has a set of sevens but Minxolli turns the straight. The river card comes the [4s] and Minxolli wins the pot. Parveen Kapoor is eliminated in 2nd place, taking home $15,351. Parveen Kapoor calls 24,000 from the button and Glen Minxolli limps from the small blind. Fred Paradis then raises to 99,000 from the big blind. 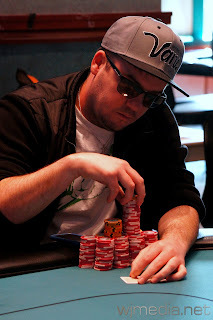 The board runs out [Jd][7s][2d][6d][Ac] and Minxolli spikes an ace on the river to win the pot. 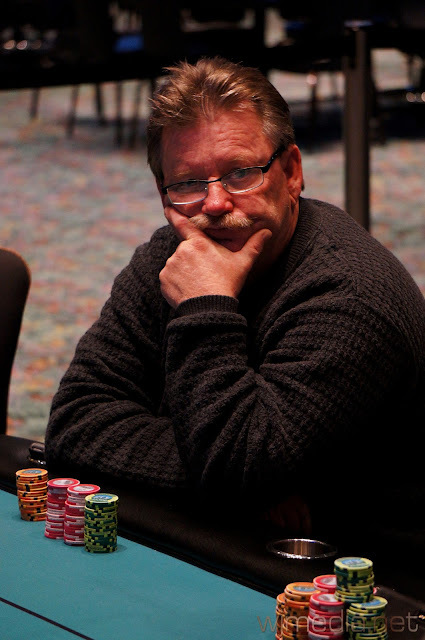 Fred Paradis is eliminated in 3rd place, taking home $11,205. 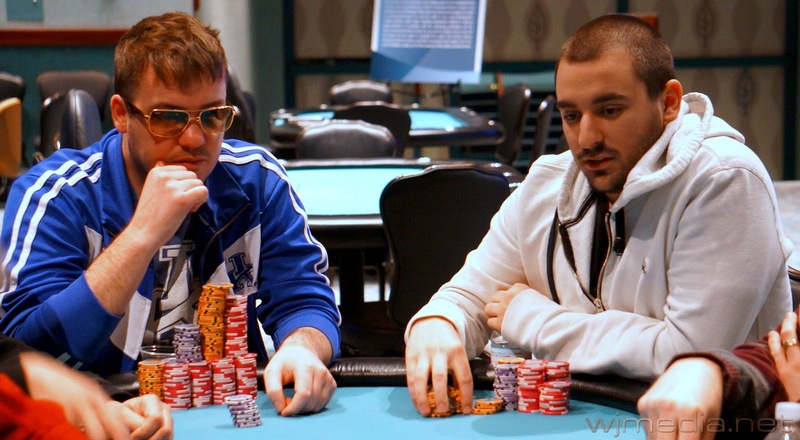 The three remaining players in the $365 No-Limit Hold 'em event are currently on their dinner break. 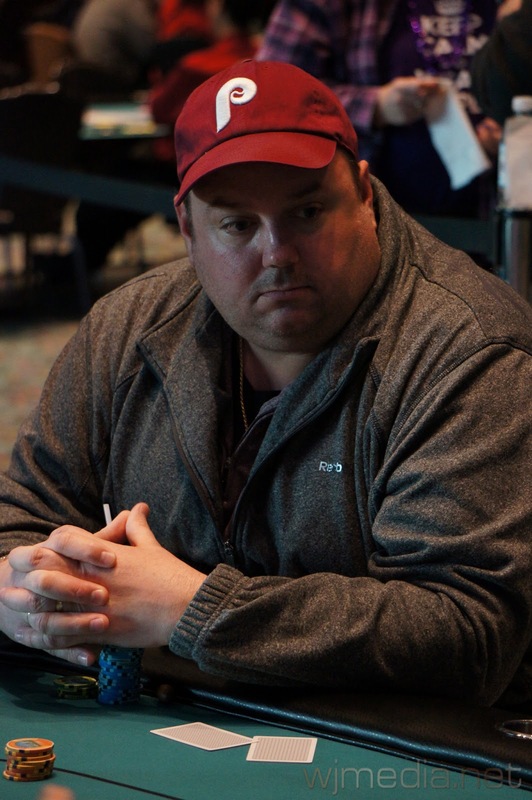 Anthony Phillips raises to 61,000 before the flop and is called by Parveen Kapoor in the small blind as well as Glen Minxolli in the big blind. 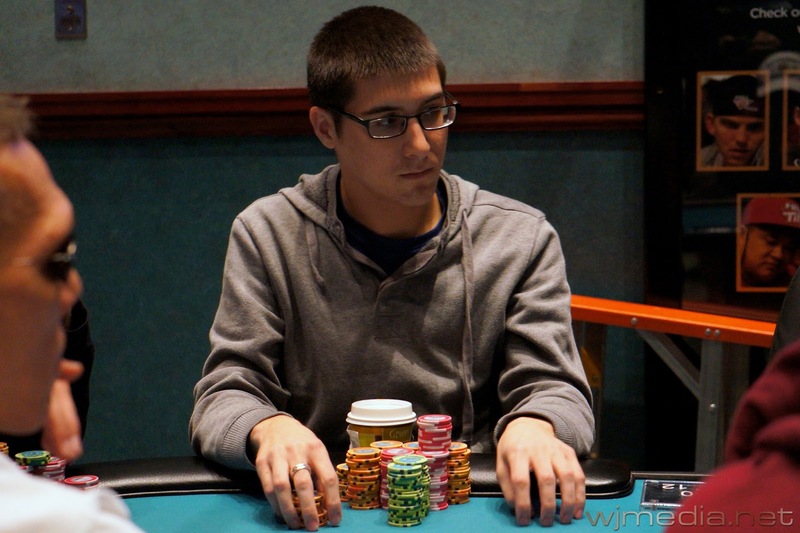 The flop comes [Ad][Js][7c] and Kapoor immediately moves all-in. Minxolli folds but Phillips snap calls. Phillips is way ahead with his set of aces. However, the dealer turns the [9s], giving Kapoor a straight. 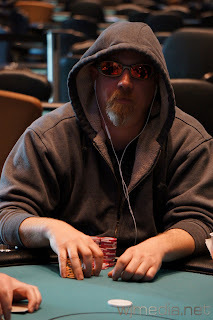 The [4c] on the river does not pair the board and Phillips is eliminated in 4th place for $8,312. Parveen Kapoor raises to 75,000 with the blinds at 10,000-20,000 and Jeff Cohen three-bets to 175,000. 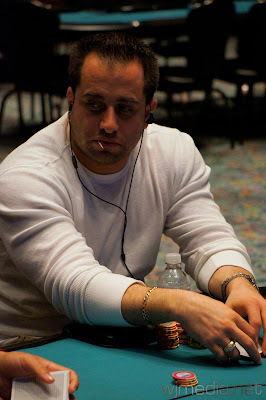 Kapoor thinks for a moment before moving all-in and Cohen immediately calls. 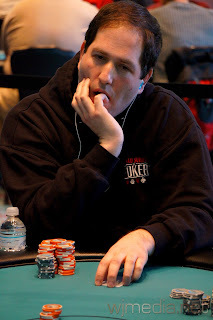 Cohen is in good shape to double up until the board runs out [6d][5h][4s][7d][4c]. 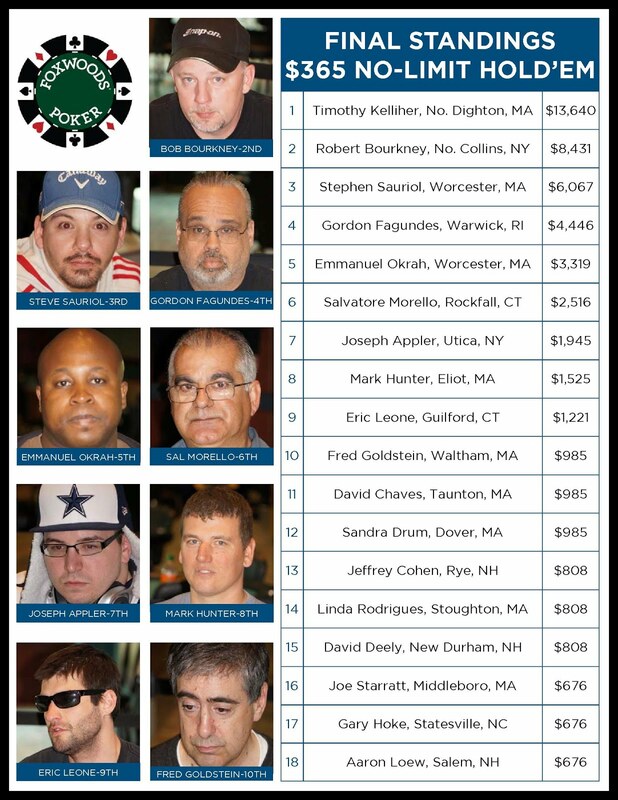 Kapoor flops a set and improves to a full house to win the pot. Jeff Cohen is eliminated from the $365 No-Limit Hold 'em event in 5th place for $6,262. The players in the $580 No-Limit Hold 'em event are now on dinner break. 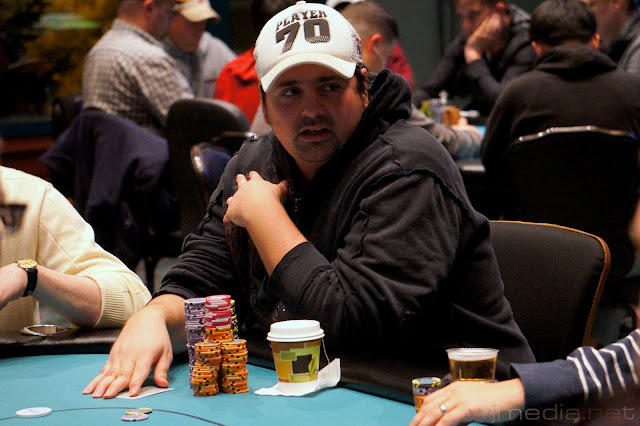 The 72 remaining players will come back to 600-1,200 blinds with a 200 ante. 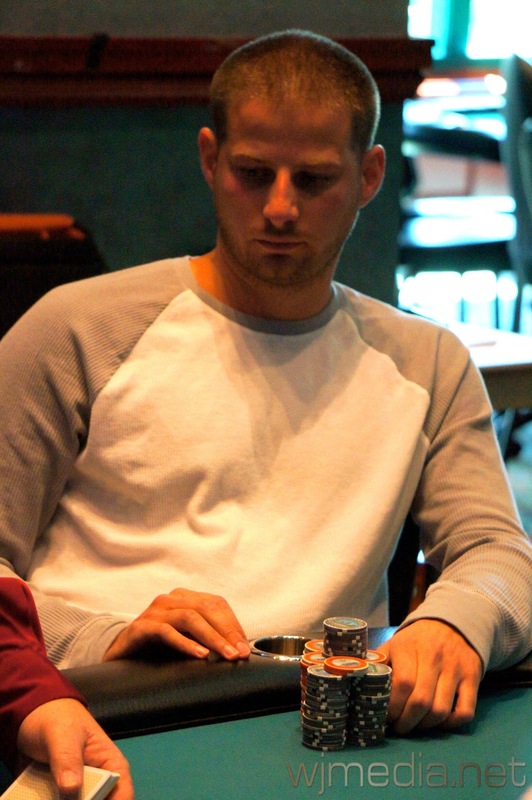 The top 24 players will finish in the money with first place taking home $26,734 and the WSOP Circuit Ring. 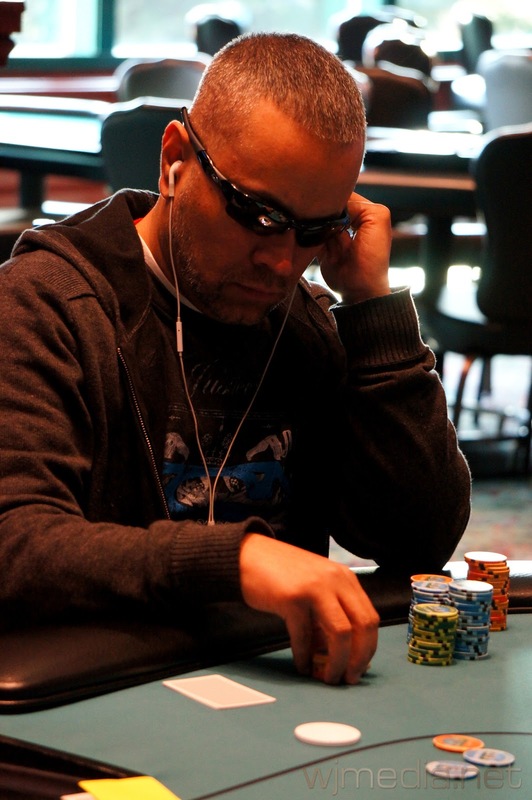 We have reached the final table of the $365 No-Limit Hold ‘em event. We had a total of 212 players in the $580 No-Limit Hold ‘em. 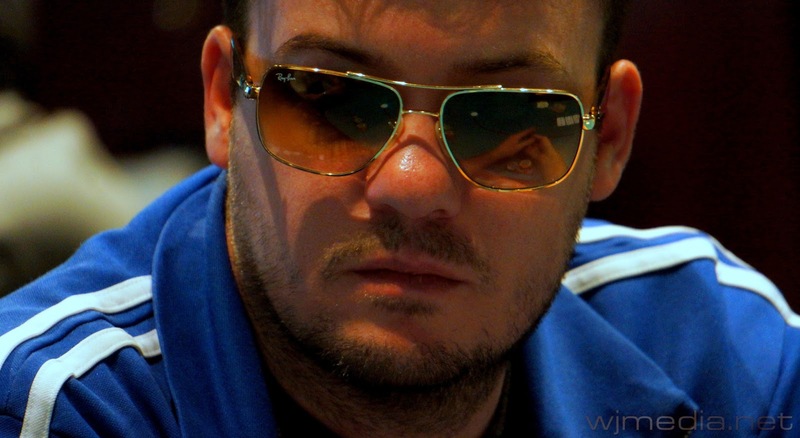 There are currently 180 players remaining with the blinds at 100-200 with a 25 ante. The final 18 players in the $365 No-Limit Hold 'em event have taken their seats and cards are in the air on Day 2.